It is not yet officially morning but everyone in the world has already reported waking up from dreams either completely coated or partially encrusted with black mold. The general consensus: it is black mold, all right. Even as people continue to worship their symbols in churches, where the misguided notion of the serpent as the primal usurper is perpetuated. Even as people avoid the streets and the great outdoors, where the heatwave stockpiles its projected daily death toll. The scourge of color in dreams has been identified as black mold through and through. 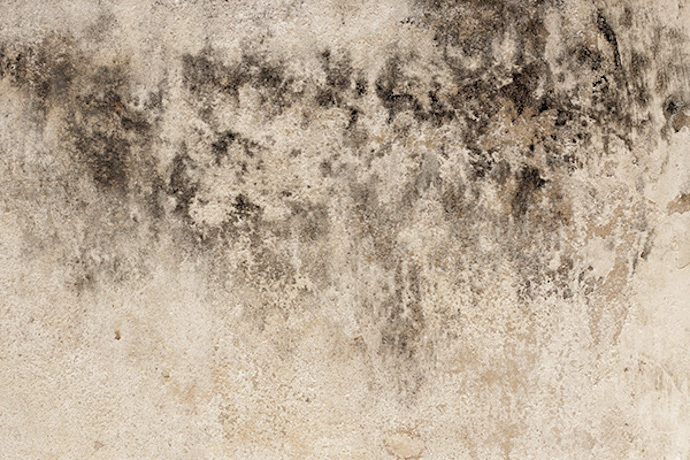 It has been said that this black mold demonstrates no affinity to moisture so it does not appear glossy and is not wet to the touch. Its surface is dry, they say—but not out loud. It is as if there is tacit agreement among people—among all dreamers—that articulating this fact will make it harder, will make it impossible to purge. That it might make the black mold want to stay for good. Then nobody will dream in color anymore. So this day’s bulletin talks about how yellow peeks from underneath the blackness of the mold—-as seen through the gauze of sleep and lucid dreaming. In its partial erasure, yellow is said to have become more vivid, more memorable even as it occurs in a dream. One dreamer talks about how raw egg yolk gets slowly obscured by a creeping film of mold. She says it appears as if during its eventual consumption by black, yellow asserts its polish, glows more brightly than usual in preparation for its obliteration. She insists that she has never seen yellow to be that beautiful before. Then there’s the dream about a couple and the dream canaries, which the couple say are kept in a cage. And this dream couple, whose teeth are coated with fuzzy black mold, smile next to the caged canaries resplendent in yellow that looks more real than yellow can ever be outside of a dream. Another man talks about a dream where black mold has begun to take over a yellow lampshade. He says that the blackening has started at the base. He swears again and again that he has never seen yellow to be that beautiful before, right before the yellow lampshade is completely overtaken by black. It is not yet officially evening but everyone in the world now dreads having to go back to sleep. No one is eager to know what dream color gets overtaken by the dream mold this time. It turns out that it is green. Green, as in the verdant green fields that have long ceased to exist in this world. Green, as in the verdant green fields everybody forgets are not really vegetation at all. They just look that way to anyone searching for a way out of this wasteland. Green, as in the pulsing bottle-green-colored scum that blankets a shallow pond under the leaking wastewater tank. Green, as in the forest beyond the clearing, where a tourist guide sells maps and says, “Tell me where exactly in the trail you want to go, and I’ll tell you what you are made of.” The tourist guide manages a store, a store that is also a tiki hut with torches on each side. The torches blaze black fire as the black mold has already taken over all shades of yellow and their variations. Inside the store that is also a tiki hut, souvenir keychains and paperweights of scorpions and spiders encased in clear Lucite blocks are sold. Behind one of the glass shelves where merchandise is kept, there is a woman, possibly wronged in all ways that a woman can be wronged, who foams at the mouth. She spews crumbly black mold and spouts words not quite intelligible. Yet, everyone can hear her. “Meet me in the place of nightmares,” she must have said at some point. And because this occurs in a dream and because nobody will ever dream in color again, there is no way to say no. And because nobody will ever dream in color anymore, everyone going through this same dream buys one of the keychains sold in the store that is also a tiki hut. The paperweights of scorpions and spiders encased in clear Lucite blocks are too bulky, too expensive for most citizens in this dream world. Nobody buys the paperweights, just the keychains. The keychains are supposed to glow in the dark. But they can’t glow anymore. Not when everything’s coated with black mold, whose surface is said to be dry although no one is brave enough to say that out loud. Because nobody will ever dream in color again, someone out there might think of angling his newly bought key chain towards the dimming light, angle it in the hope that it might glow. And the key chain might still glow. He might still catch a glimpse of the faltering glow-in-the-dark green before the black mold, before the blackness finds a way to slip over and engulf everything. Pick up a copy of The Drone Outside here.